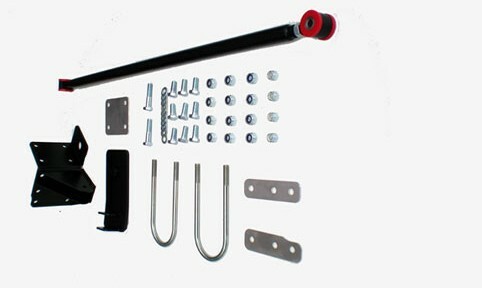 Our telescopic front suspension conversion is a complete bolt on upgrade for the MGB. Offering the greatest single improvement on the market for such a small price. Giving flatter cornering and improving overall handling without compromising on comfort. These are far superior to the original rubber bushes and have a greatly increased life expectancy. 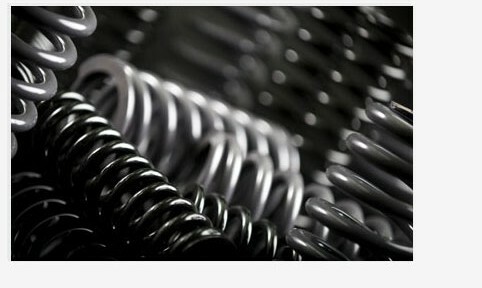 Our polyurethane bushes retain the mounted components firmly while dissipating road noise and vibration. Available in a variety of lengths and poundage options to suit your exact requirements. 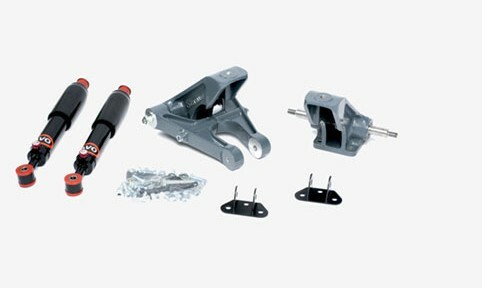 Upper outer trunnion bush car set car set (two per set). 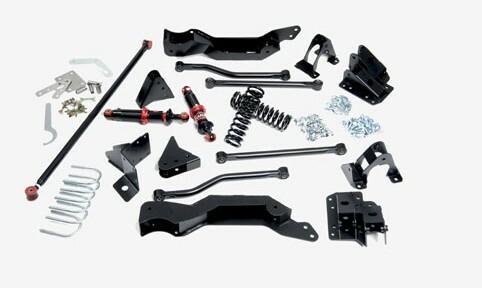 Rear suspension kit with adjustable dampers for the MGB. Polyurethane rear saddle pad for the MGB.